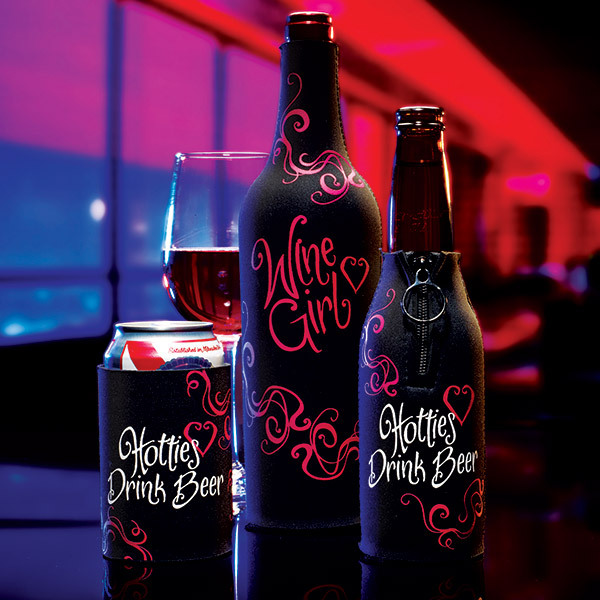 Every girl loves a touch of wine now and again. 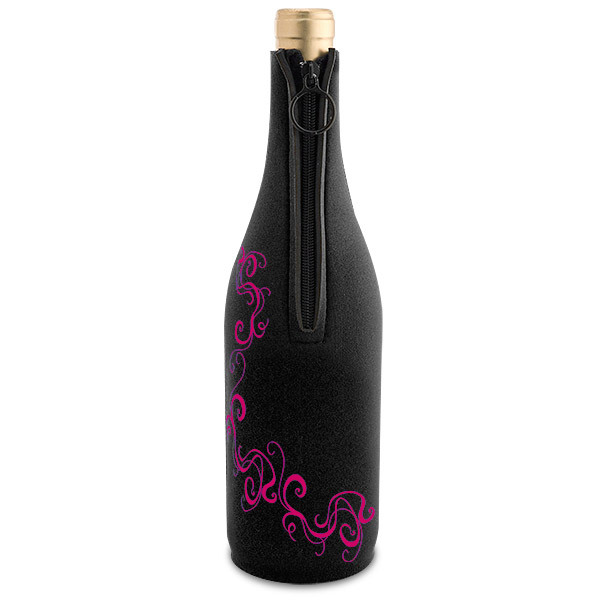 These Wine Girl Neoprene Wine Bottle Epicoozies™ feature soft, flexible bodies, non-skid rubber bottoms, and handy front ring-pull zippers. 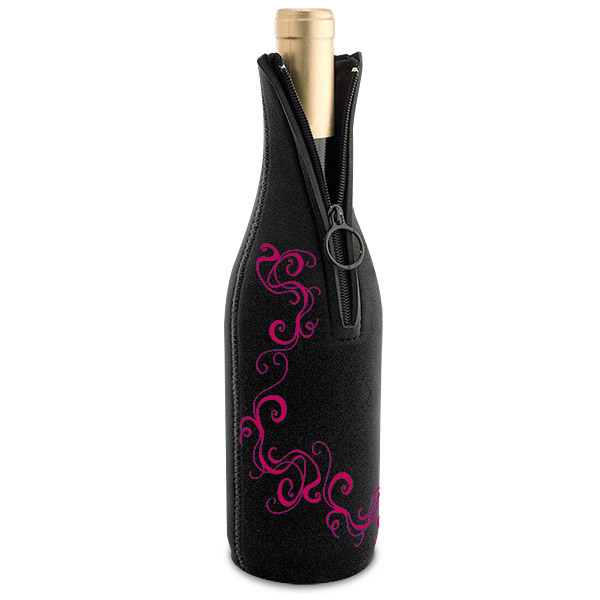 Made to fit most bottles of wine and Champagne, these Epicoozies™ are ideal for transporting your bottle while keeping its temperature insulated.